First, an update on the garden bed progress. The pile of dirt is growing more quickly now, and I need a wider angle to get it all into the picture. It now reaches halfway across the space I had planned for it. 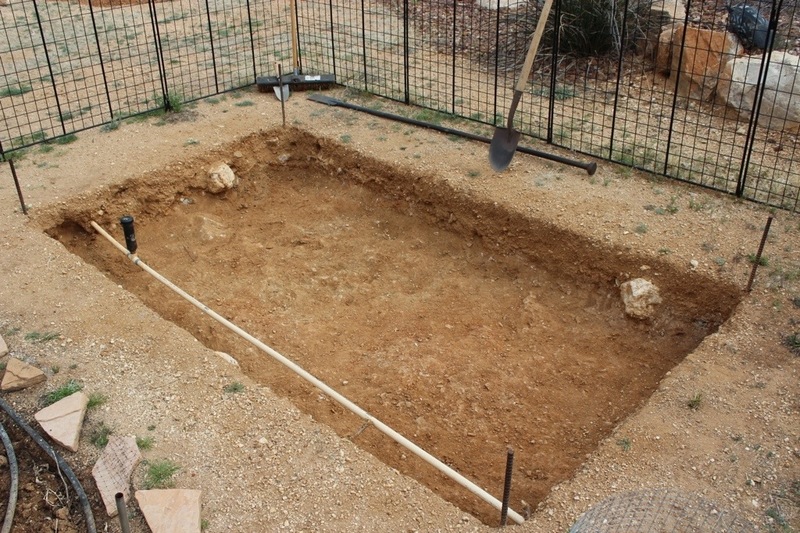 I guess that’s good, since the hole is about half as deep as I want it to be, but I’m seeing the corner of the garden fence getting closer, and I’m starting to think about running out of room. And the next layer of dirt is out of the hole. 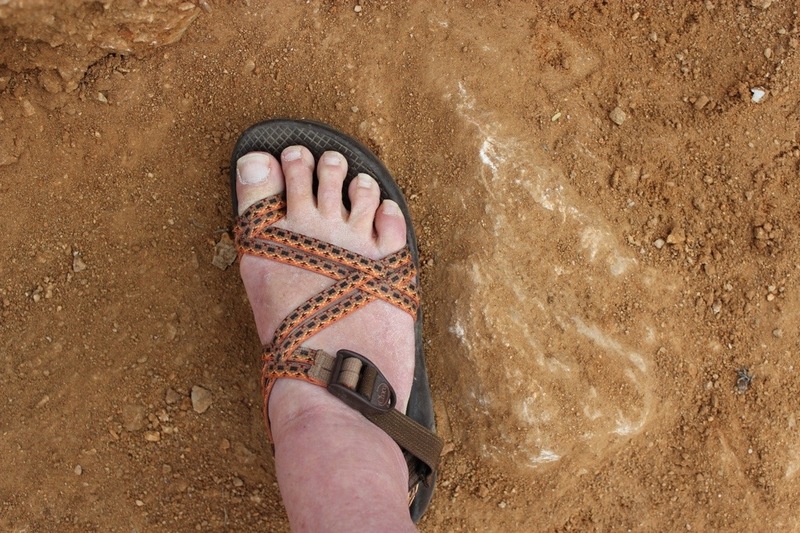 Size 8 sandal shown for comparison. Dirty foot should be ignored. OK, the real reason I’m showing all these pictures of the garden bed under construction is because (and you are forgiven for not believing this) I’m terrible at taking before-and-after pictures. I’m trying to get better at this, with only moderate success. 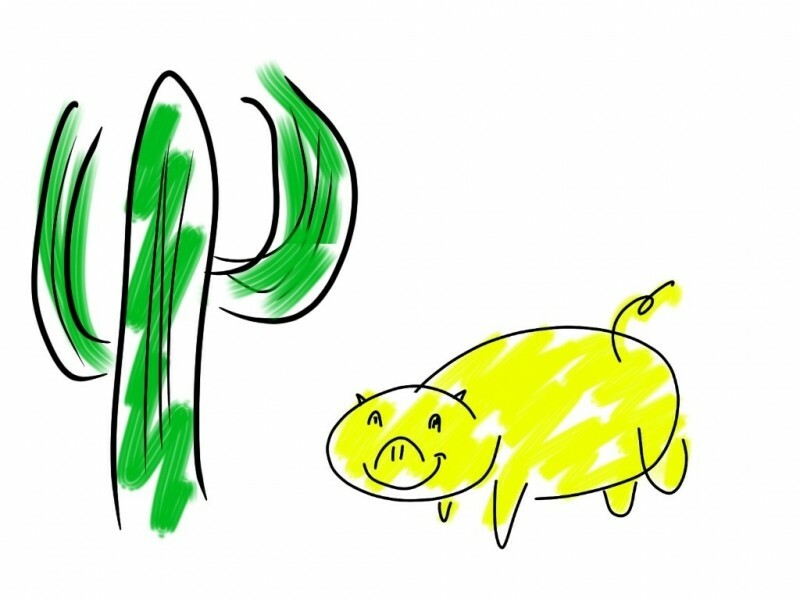 As seen below. I remember mowing the grass in Florida. I had (have!) a reel-type mower, and the grass there grows three inches a week in the summer, so most days I’d be out chewing down the grass. 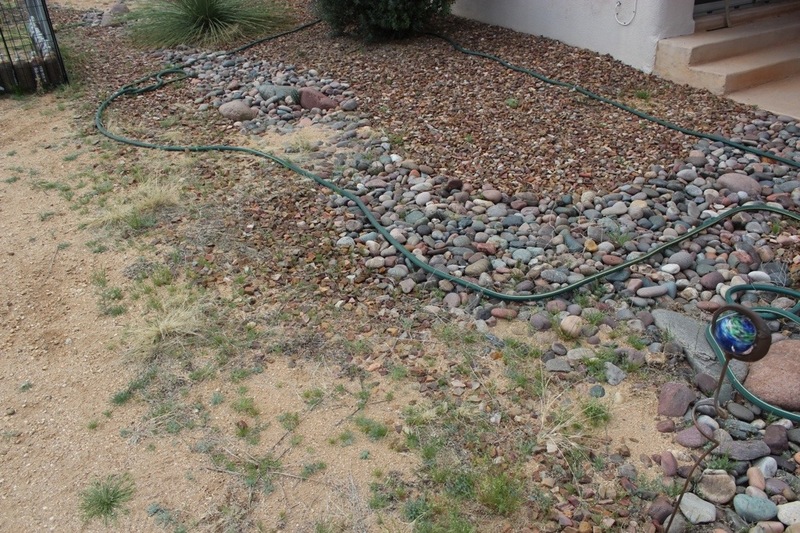 It was great exercise, but there were days when I heard about yards in the desert covered with rocks, and I dreamed about how “maintenance-free” such a yard would be. Now I have one of those rock-covered yards, and it isn’t quite as maintenance-free as it seemed, although it isn’t the three-days-a-week ordeal that hand-mowing in Florida summer was. Now it’s more like twice a year weeding and the bi-annual rock grooming. 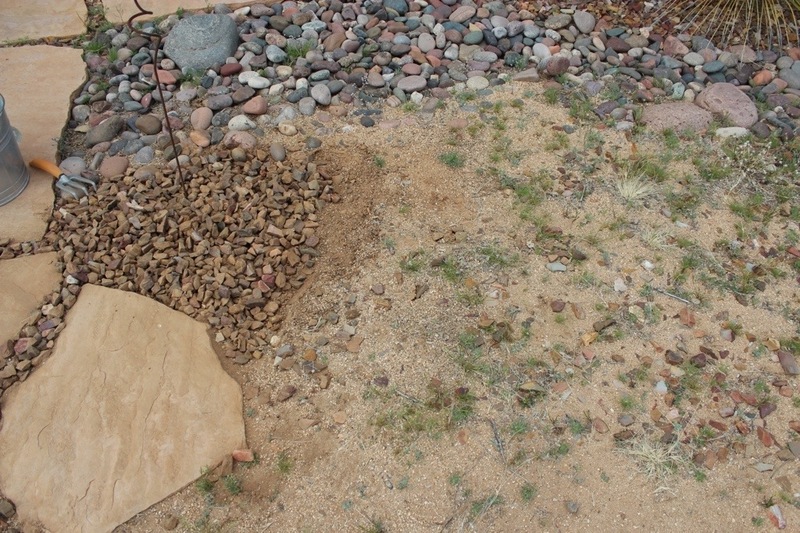 The “decorative rock” that covers the whole front yard and circles the back yard are just stones that have been hauled in and poured over the dirt. When you order them, you get to pick a color for the rocks; mine are mostly reddish. Anyway, there’s nothing but gravity holding them in place, and sometimes that gravity is not my friend. Wherever the level of the rocks is slightly higher than the surrounding dirt, the rocks have a tendency to run away, and I have to round them up and herd them back where they came from. 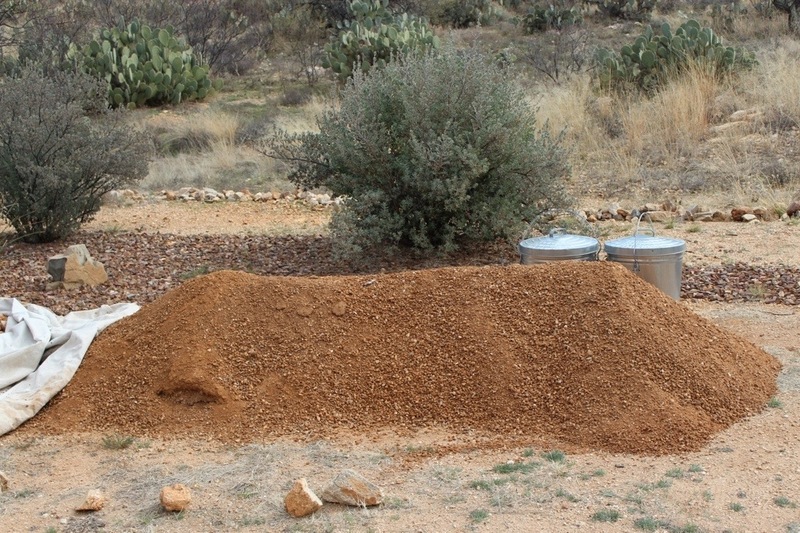 In other places, where the rocks are slightly below the surrounding dirt, the dirt drifts over them when it rains and then the rocks need to be disinterred. And (did I mention?) it rained a lot last year. But the truth is, decorative rock looks so much more decorative when it’s on top of the dirt. 2015 was the year for rock grooming, but the rock grooming didn’t happen. I blame the extra rains, and the fact that there were more engrossing excavations going on in the yard last year. It’s not that I was ignoring those rocks though. Each day when I went out, I looked at those rocks and thought about their increasingly scruffy appearance, thought “Ugh!”, and passed them right by. This year, I will be paying for my negligence. At the left is a small area I’ve already worked. Almost the entire right side of the picture, where you can see a small number of scattered stones, is the work I have yet to do. And that’s just the little section between the red slate walkway and the recovery tree moat. Another large section on the other side of the walkway and on past the garden is lurking as well. I think I heard somewhere that playing in the dirt is good for you and raises your serotonin levels. So let me grab my handy little claw tool and go herd those rocks!